Some recent painting at my house has brought to mind another of the myriad of differences between men and women. So let’s talk about color. We all learned in elementary school that there are three primary colors: red, yellow and blue. After we mastered that concept we moved onto the color spectrum with the mnemonic of “Roy G. Biv” to help us remember red, orange, yellow, green, blue, indigo and violet. As a child I remember coloring and drawing with the crayons from an eight pack of Crayola crayons that, since 1903, has consisted of red, yellow, blue, green, orange, brown, violet (purple) and black. In reality, those eight colors were enough. I remember wanting the larger box of crayons, especially the 64 pack with the nifty built-in sharpener. But even when I had the bigger box, I pretty much stuck to the basic eight. Pretty much all the colors a man needs are included in that box of eight crayons. If you are talking about painting a wall, a man does not even need all eight. Add white to the list and knock off red, yellow, orange, violet and black. That leaves you with white, blue, green and brown. 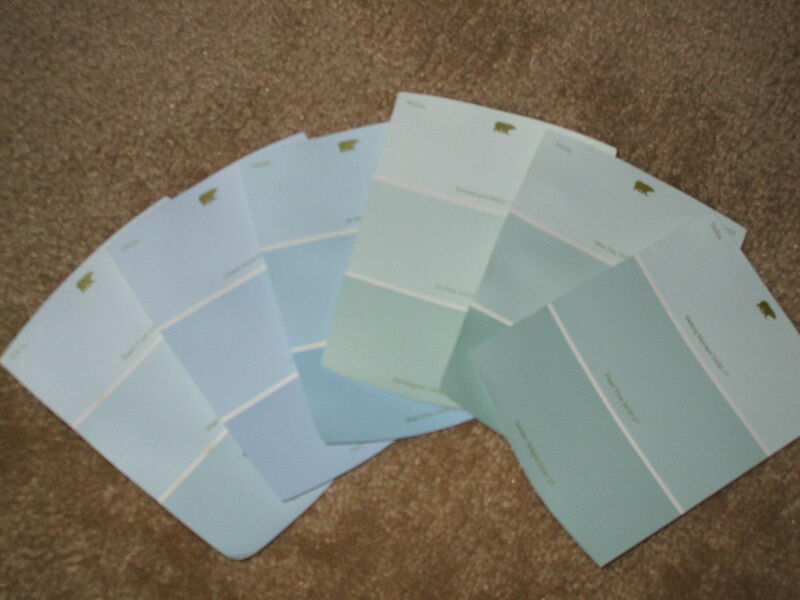 If you are talking to a man about painting an interior wall, it will come to deciding between those four colors. Simple, right? Unfortunately, it is not as simple as it would appear. Apparently not all people (i.e. women) are not content to choose between four, or eight, or even sixty-four colors. Someone decided to add shade after shade after shade and name each and every one. Did you know that Sherwin-Williams has over 1,500 paint colors? 1,500!! While a woman may appreciate the nuances between white, antique white and eggshell. A man will see white, not so white and white with some brown (his mind will pretty much operate within the parameters of the four colors mentioned above). So, my wife, after much consideration and consternation decided on painting our bathroom Malaysian Mist. I think the bathroom looks nice painted blue. This entry was posted in Humor and tagged colors, differences between men and women on July 14, 2015 by Leonard. I have read that females’ eyes have more rods and cones and are thus able to discern a wider range of shades and hues. Also, color blindness rarely occurs in females. Kind of makes me wonder what other advantages they have that we don’t.